This site is devoted to Matthew “Mattie” J.T. Stepanek, famed poet, public speaker and peacemaker. Born with a rare form of muscular dystrophy, Mattie was one of the few who looked not to despair, but hope. His constant battle with his illness was one he shared with the world, both the ups and downs, and his courage in the face of constant struggle exemplified a life of a true hero. Mattie passed away on June 22, 2004, at the age of 13. 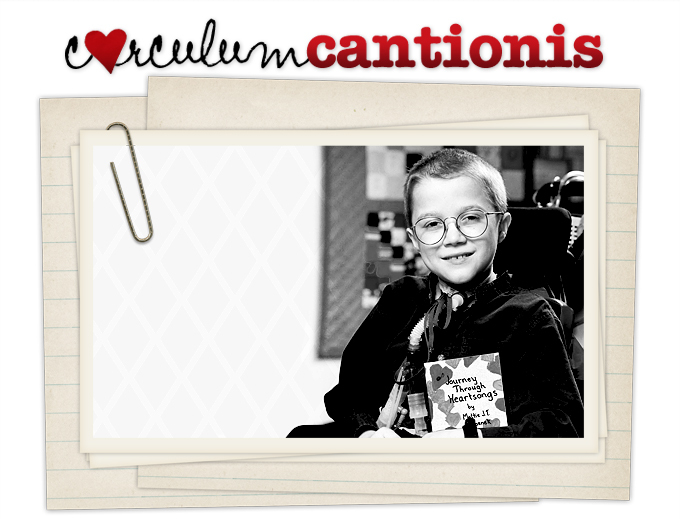 During his short life, he devoted his time and energy to writing poetry, published in his five Heartsong volumes, as well as to various causes, including the Muscular Dystrophy Association. This site is devoted to the idea of giving Mattie back a little of what he gave to the world. Among other things, Mattie was a fan of the Harry Potter series of books; Hermione, we have been told, in particular. The webmasters of this site launched a petition not long ago that politely asks J.K. Rowling, the author of the Harry Potter books, to consider mentioning Mattie somewhere within the pages of the next two volumes of her works. And so appears this site, dedicated to both Mattie and the petition, and organized to honor Mattie's love of lists! CC has been established so that Mattie's fans can sign the petition and/or send us their feedback. We have also provided information on Mattie, himself, his illness, and the Muscular Dystrophy Association, whose cause Mattie championed all his life. Please browse as you like, and enjoy your stay! This site is a non-profit site, intended for the purpose of promoting the petition to place Mattie Stepanek’s name in one of the two remaining Harry Potter books. We have no intent to distribute, profit, or otherwise seek any kind of proceeds with regard to this site. All original content, layout, and other image ideas on Corculum Cantionis are copyright Corculum Cantionis, and are not distributable to any other site. Heartsongs and the Heartsong collection of books are copyright Hyperion Books and VPS Books, and all their respective affiliates. Corculum Cantionis is a non-profit website that is not in any way affiliated with Hyperion Books or VPS Books. "Harry Potter" and all other names associated with the Harry Potter series of books and the Harry Potter movies are trademarks of Joanne K. Rowling and the Time Warner Entertainment Company, L.P. All images and materials related to the Harry Potter novels and/or movies are copyright Joanne K. Rowling, Scholastic, Inc, Carlsen Verlag, and Bloomsbury Publishing. Corculum Cantionis is a non-profit website that is not in any way affiliated with J.K. Rowling, Bloomsbury Publishing, the AOL Time Warner Entertainment Group, Scholastic Books, or Carlsen Verlag.